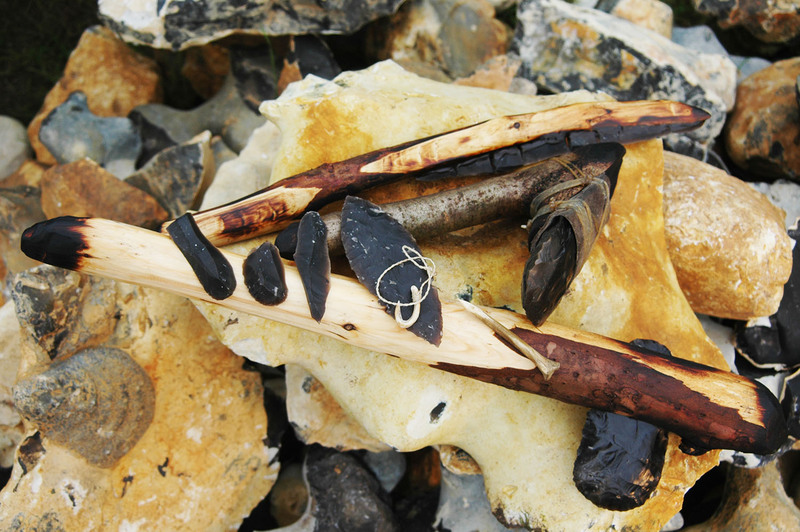 In the UK, skilled flintknappers are very few, and if you want to learn flintknapping there is no one more respected than John William Lord. John has been teaching, demonstrating and sharing his knowledge for many, many years. 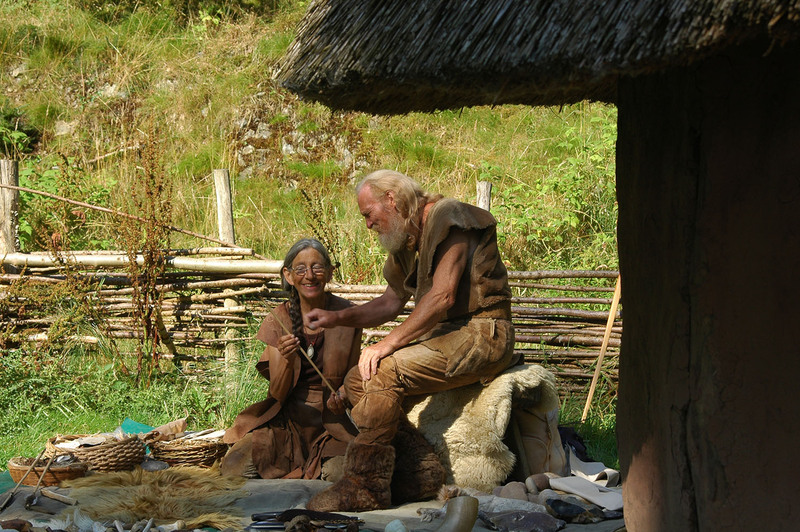 Numerous times over the past twelve years, I have had the pleasure of working with John and his late wife Val as they set up camp here at Kilmartin Museum, spending a few days at the museum delivering prehistoric technology workshops to a wide audience. Needless to say, the audiences were and have always been fascinated, relishing the opportunity to knapp a flint with expert guidance from John and Val. I have sat with him, here at the museum and within the classroom, when he was teaching children and adults to knap flint, and it is a truly amazing experience for all those taking part. It is beautiful to watch, fascinating to the eye, and at times apprehension comes into the equation as the finished tool is nearing completion. Watching John’s face as he studies the flint before that final tap; pure magic! In 2017, John was awarded the British Empire Medal for services to flintknapping and received his award at a ceremony in Norwich. He was very humble in his response to receiving such an honour and pointed out that finally, flintknapping had been recognised as a trade. Previous to this, a flintknapper could only get insurance cover classed as a stonemason; flintknapping had not been recognised as a trade. Congratulating him on his recent award created the perfect opportunity to reflect on his life and career. John grew up in Bishop Stortford, Hertfordshire, and as a little boy he had a keen interest in Geology, rocks and fossil hunting. Upon leaving school, he joined a band playing the Saxophone, and travelled the country with the band for 18 months non-stop. Following the band experience he began working for himself as a graphic designer and screen printer. In 1973, along came the financial economic crash, and as a result he could not build up the business. So a change of career beckoned, and in 1975 John and Val were appointed by the Department of the Environment (English Heritage) to look after Grimes Graves, the Neolithic flint-mining area near Thetford in Norfolk. As custodians of the site, they had the opportunity to observe an archaeological team working for the British Museum, who were excavating on the site. Mark Newcomer from the Institute of Archaeology and Prehistory Department was the flintknapper, making flint axes to compare with the ones being excavated. Archaeologists wanted to know if Grimes Graves was or was not an axe factory. During their time as custodians at Grimes Graves, until the late 1980’s, both John and Val mastered the art of flintknapping, and John left Grimes Graves in 1988 to become a professional flintknapper working in the construction industry. 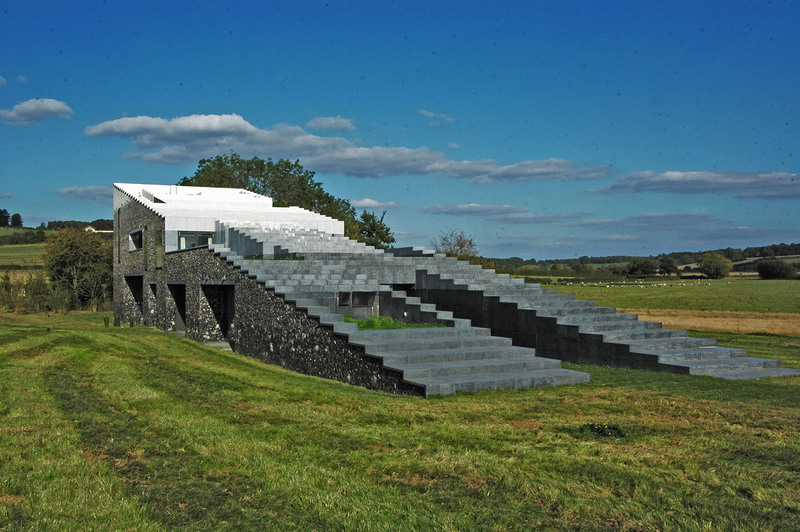 By 1992, both Val and John decided to combine their technologies: as well as supplying the construction industry with flint, they began many journeys together, travelling around the UK to deliver and demonstrate primitive technological skills to the wider public. Favourite places to visit were Kilmartin Museum in Argyll and Creswell Crags, Nottinghamshire. It was in the mid 1990’s that original founders of Kilmartin Museum David Clough & Rachel Butter commissioned John as a consultant, to see if he could provide replica flint and bone tool objects to the ones found in Kilmartin Glen, but which were in the National Museum of Scotland. I asked him if he remembered what were the first objects he made for the museum, and he replied ‘Harpoons!’ I can confirm that they are still on display in the museum. Creating fine replica tools for museum collections over many years has been an exciting experience and has brought John into contact with many museums and university collections. 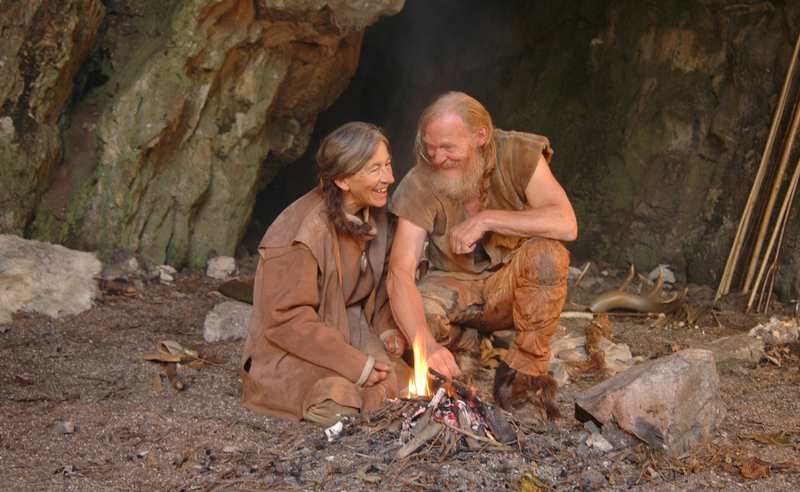 Over the years, many PhD students studying microlithic technology, as well as university professors, have sought John and Val’s expert tuition and help. Although as John points out, he has not yet had the pleasure of meeting Prof Francis Pryor (Flag Fen). As there are so few professional full time flintknappers, I asked John what would be his message to young university students who may want to consider flintknapping. As to the future, John and his son Will continue to be very busy and have just completed filming with a Japanese company, a project that allowed them to work together. For 2019 John is considering working in construction again, south of the river on award-winning buildings. But, as he points out, he will always continue teaching, sharing knowledge and skills, and I hope that it will not be too long before John returns to Kilmartin Museum. I have sat with him, here at the museum and within the classroom, when he was teaching children and adults to knap flint, and it is a truly amazing experience for all those taking part. Observing the children listening intensely to John’s instructions, watching the absolute concentration and attention on their faces and seeing their ultimate joy at having taken part, is all down to the manner and characteristics of the man. There is no doubt he is a great teacher and has been, and will continue to be, a national treasure and one of the country’s finest flintknappers.